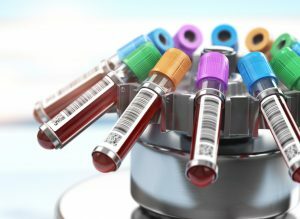 Men and women who had high levels of inflammatory blood markers in their 50s were at increased risk of developing thinking and memory problems decades later, a new study found. The findings add to a growing body of evidence that inflammation in general is bad for many of the body’s organs, including the brain. The results also underscore that the kinds of memory problems that can presage Alzheimer’s disease and other forms of dementia can take decades to unfold, and that treatment may be most effective early on, before damage to the brain becomes extensive. Chronic inflammation can linger in the body at a low-grade level for years. Symptoms can include fatigue, digestive problems and achy joints. Regular exercise, a heart-healthy diet and getting adequate sleep can help to allay chronic inflammation. For the current study, researchers followed 12,336 men and women over two decades. Their average age was 57 at the start of the study. At regular intervals, all volunteers had blood samples taken to test for a variety of inflammatory markers, including their white blood cell counts and levels of C reactive protein, a blood marker tied to heart disease. They also had tests of thinking and memory skills at the start of the study period, six to nine years later, and at the end of the study, after 20 years. The researchers found that those men and women who had the highest levels of inflammatory blood markers had an 8-percent steeper decline in thinking and memory skills over the course of the study than the group with the lowest levels of inflammation. Those with high levels of C reactive protein had a 12-percent steeper drop in thinking and memory skills. The researchers controlled for risk factors like high blood pressure and heart disease, which have also been tied to Alzheimer’s disease and dementia in general. Inflammation was independently associated with an increased risk of memory impairment. “Overall, the additional change in thinking and memory skills associated with chronic inflammation was modest, but it was greater than what has been seen previously associated with high blood pressure in middle age,” Dr. Walker said. “Many of the processes that can lead to a decline in thinking and memory skills are believed to begin in middle age, and it is in middle age that they may also be most responsive to intervention.” The findings appeared in the journal Neurology. Other research has suggested that inflammation may be particularly damaging to people who carry the APOE-e4 gene, which increases the risk for Alzheimer’s disease, especially if two copies are present. Not everyone who carries the gene goes on to develop Alzheimer’s, and scientists aren’t sure why. Inflammation may be one factor that predisposes someone to develop the disease. Scientists aren’t sure how inflammation may promote the development of Alzheimer’s. One hypothesis is that chronic inflammation creates a local environment that, when prolonged, becomes toxic and slowly damages brain cells, or neurons, rendering them more fragile and priming them for the subsequent damage that occurs with the disease. But more research is needed to determine how inflammation might affect Alzheimer’s onset, and whether anti-inflammatory treatments may be beneficial.